Have you ever dreamt of enjoying the unique experience of sleeping next to one of the most beautiful royal palaces in Europe? Think no further: you deserve a stay at the Hotel Ópera. In the centre of Madrid and situated in one of the most beautiful, attractive and illustrious districts of the city, we offer you 79 complete and comfortable rooms, equipped with the latest technology and everything you need to make your stay in Madrid simply unforgettable. 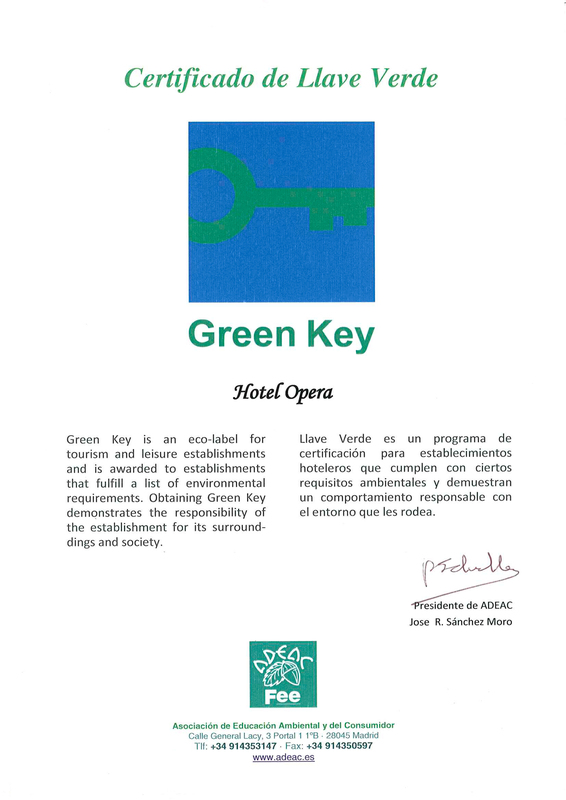 At the Hotel Ópera, our priority is the complete comfort of our guests. For this, we have single, twin, double, triple and quadruple rooms, as well as others adapted for guests with reduced mobility. The jewel in our crown? The rooms with a jacuzzi and furnished terrace with incredible panoramic views of the Royal Palace, traditional Madrid, the Madrid mountains, the lung that is the Casa de Campo and the heart of the City Centre.